Oh my…lots of questions about the newest series, 12 Days! Thank you for the terrific response – many shops are setting up fun SAL clubs, auto-ship programs & finishing classes! I try to think of every possible response when I put something like this out…but inevitably, I miss something. 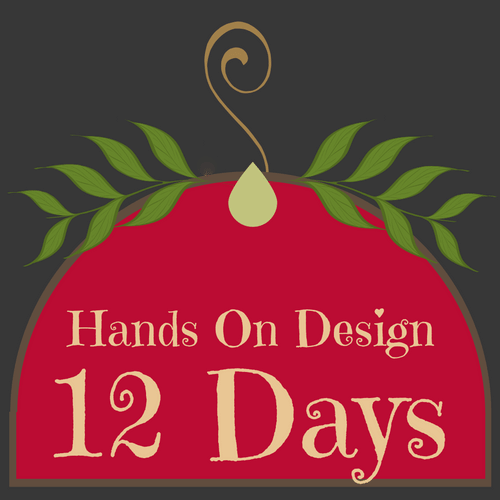 – Shipping – 12 Days…2 designs/chart, so that makes 6 charts! They start shipping to shops mid-January. Chart #2 will be available at Nashville Market (March). After that, I will release them each month. 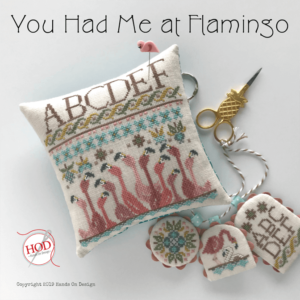 These stitch quickly & I wanted you to have time to ‘finish’ them for next year’s holiday! – Buttons: entirely handmade…including the custom stamp, Just Another Button Company is packaging these to coordinate with the charts (2 days/pack). These are button, not pins. Once again, Cecile & Rachel did a fantastic job interpreting ‘the look’ of my series. – Finishing items: those hooks!! 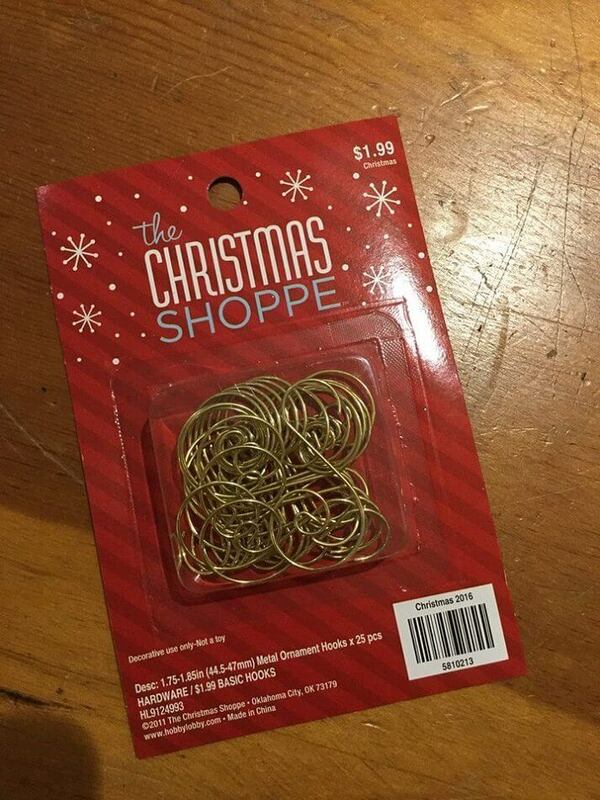 The swirly ornament hooks can be purchased wherever ornaments are being sold right now…usually the big box stores. They are inexpensive, sell quickly & may not be around for the after Christmas sales. Greenery: I purchased mine at Michaels in the floral supply section. I will provide more information about that at another time – this is not a ‘seasonal’ item like the hooks. The ornaments are flat finished with a coordinating quilter’s cotton on the back. I will put together a finishing tutorial (after the holidays). Call your shops to order…as I said before, MANY are doing clubs & fun events! I keep a list of shops with email & web link on my website: these are shops that order directly from me & get the newest from Hands On Design. Email me if you have questions. The ornament hangers! 25 for $1.99…what a deal! A friend told me once she would like to see inside my brain…here ya go! I am so happy that you like this series so far. 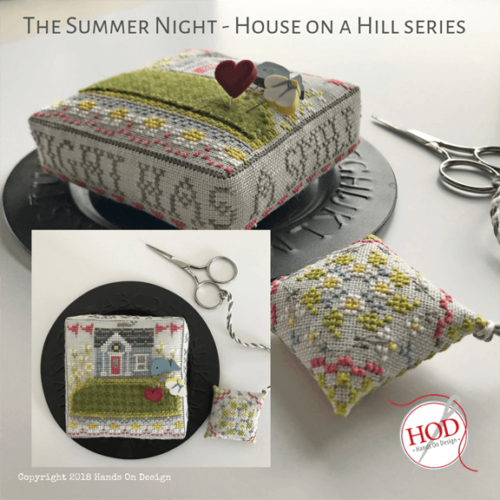 I really feel that there is a 12 Days inside every cross-stitch designer…like a right of passage, each one with it’s own style. I wanted to put my own stamp on this Holiday Classic: traditional, but updated colors, simple & honest lines. 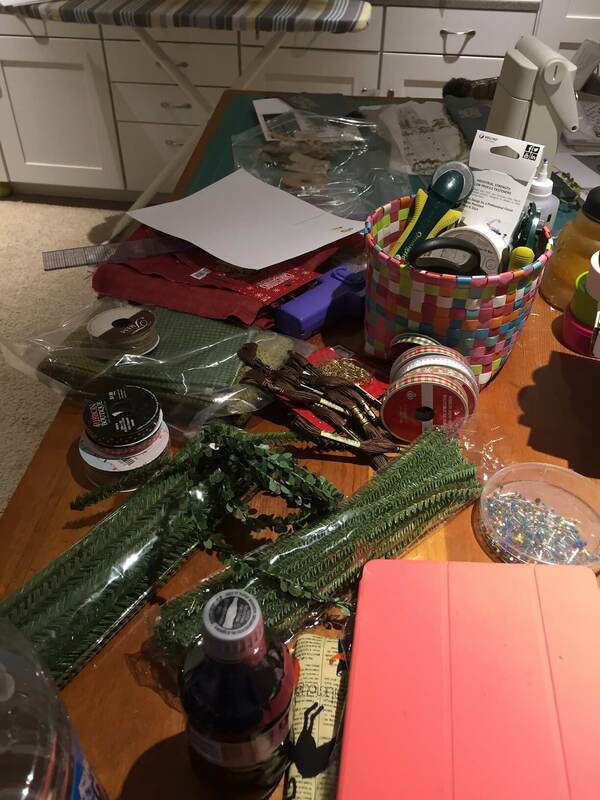 ‘Crafty Cathy’ comes out to play! Love the desIgns, the colors … Cannot wait to get mine started. The twelve days of christmas is one Of my favorite themes! Sunningly, wonderful and in my mind perfect! Great, great series! 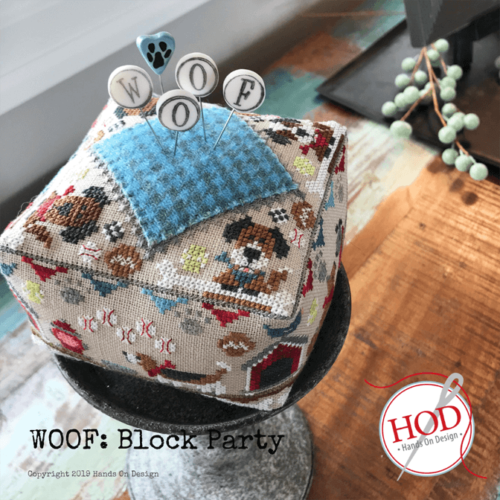 Debby, It sure is gingham…I’m stitching the last one right now! As I said in the post, It’s a very (very) subtle pattern & doesn’t photograph well. If you stand back & look at the pics again, you might just see the pattern! 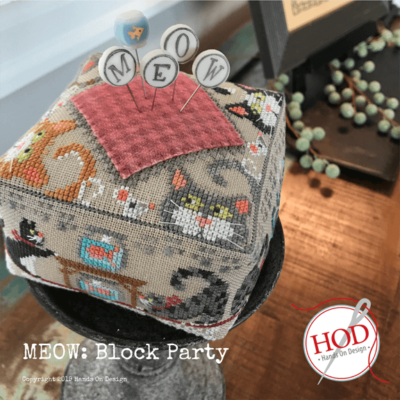 I liked how the light pattern added some texture to the pieces…your shop knows what they’re talking about! Ive went to 2 micheals and cannot find the greenery. Can you give us any more ifo on it. Thanks. 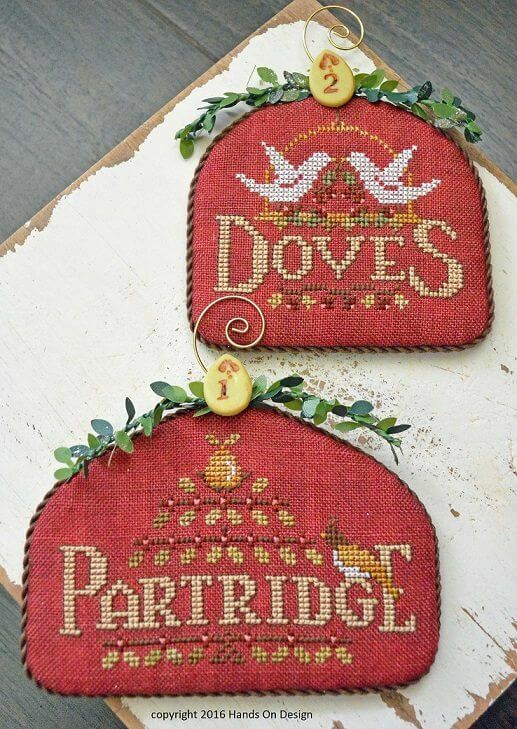 What color floss/strands iS used for backstitching doves feet, flowers(?) on row below doves, and for flowers below doves word? Love the designs, can’t wait for the next 2 designs to arrive! It should be listed on the chart…I believe I used the brown floss. 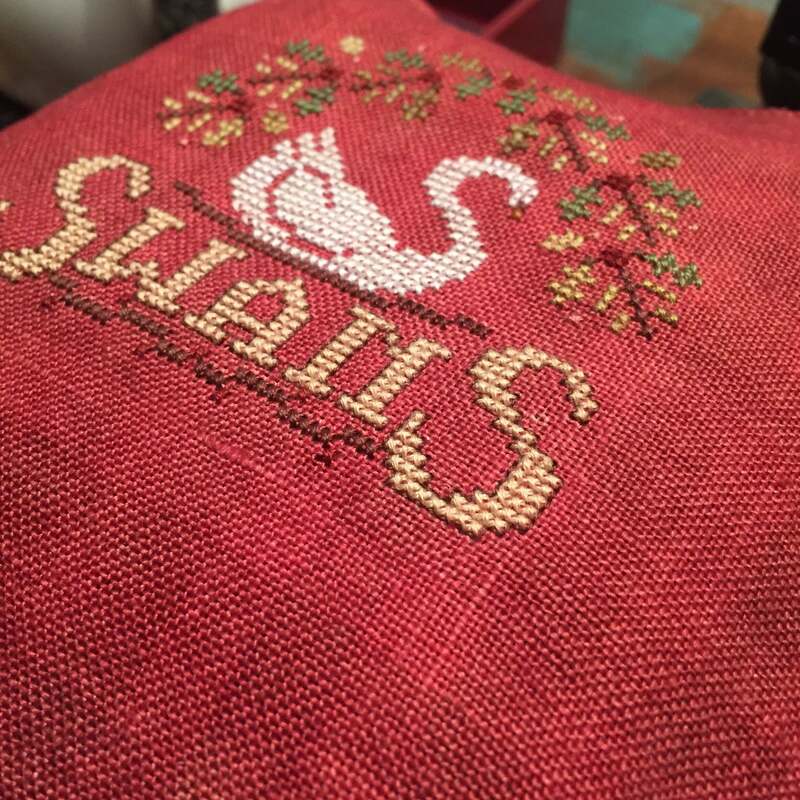 I did stitch with 2-ply…1-ply just didn’t show up as well!